Are you interested in a new car but not sure if leasing or buying is better for you? We can help you decide! Leases and car loans are simply two different methods of financing a vehicle. One finances the use of the vehicle, and the other finances the full purchase of the vehicle. Both have their benefits. Whether leasing or buying with a loan is more beneficial to you depends entirely on your own preferences. Leasing Benefits – Why Lease? Lease payments are usually lower than loan payments because you’re only paying for the period of time you use the car, not the entire vehicle. You can often lease a vehicle with little to no money down, so you’ll have less out of pocket expense involved in taking possession of your new car. Do you like upgrading your phone when a new model is released? If you do, you might enjoy leasing because you can essentially do the same with your car. If always having the latest technological or safety features is important to you a lease may be perfect. When you lease, you have choices available at lease-end. You can choose to lease another new car (and there’s often a Returning Lessee rebate if you do), or you can purchase the one you’ve grown to love at a much lower, pre-determined price. Or, you can simply turn it in and walk away. Without the hassle of selling or trading in your old car (and dealing with a loan payoff that may be more than your car is worth), you can enjoy an easy process that allows you to drive a brand new vehicle every two to three years. Most leases run for a length of time equal to or shorter than the manufacturer’s warranty. Maintenance costs are minimal during this low-mileage period, and if any repairs are needed they are typically covered by the warranty. 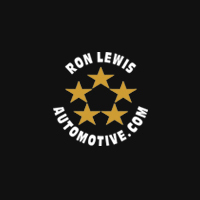 Leasing programs through Ron Lewis Automotive give you the freedom to choose a new vehicle every few years, often with lower monthly payments than a loan. Visit us for the best lease deals in the Pittsburgh area. Finance Benefits – Why Buy? Once you’ve reached the end of your loan, you own your vehicle outright. You can drive the vehicle you’ve grown to love for as long as you want and it’s all yours! If you typically keep your cars for longer than 3 years, this option is a great choice. When you purchase your new vehicle you can drive an unlimited amount of miles with no penalties. If you plan to drive your car more than 15,000 miles per year this option is preferable. Long commute? Love to take long road trips? No problem! Enjoy the open road! For an enthusiast there’s nothing more fun than a lifted 4×4 or custom sports car! But if you like to lift, lower, customize, or modify, then buying a vehicle is a better choice. Not only would you give away the fruits of your labor when turning in the lease, you may also be charged a fee by the leasing company to restore the car to its original configuration. When you buy, you retain the benefit of trade-in or resale value when it’s time to replace your car. It’s always a satisfying feeling to see the price of that new car come down once the equity you’ve built in your trade-in enters the equation!